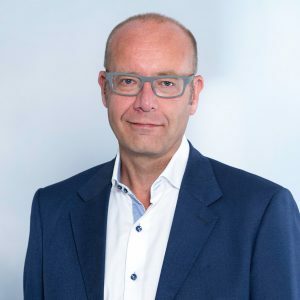 Jan Buis, VP Wireless LAN & Switches at LANCOM Systems, draws on a wealth of experience in business development, international sales and product management. He started his professional career at Lucent Technologies in the Netherlands in the late 1990s and worked as Product Manager Optical Networking. After a couple of years, Jan joined the initial WLAN development organization. He held various positions in product management, marketing and sales until he joined LANCOM Systems in 2006 as Country Manager for Benelux and one year later he became Director International Sales. In 2013, he was appointed Director Business Development in addition. Since 2014, he has been fully focusing on Business Development at LANCOM Systems. Jan holds an international MBA (Purdue University) as well as a Master’s degree in Industrial Engineering and Management Science (Eindhoven University of Technology) and is currently a Part-time PhD Candidate at the Vrije University of Amsterdam, Holland.